Expansion plans for Opera North’s Leeds home, which will see the company increase its performance programme and install an education centre, will go ahead, after the project was granted planning permission. 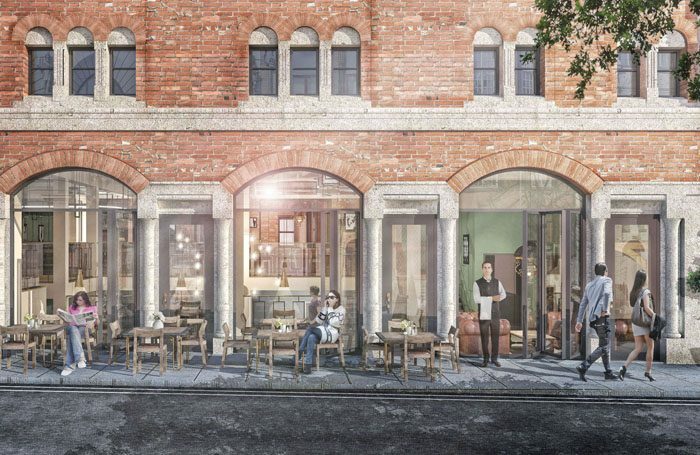 The expansion plans, which will total £18 million, include taking over four vacant shop units next to the Grand Theatre – where the company is based – to create a new restaurant and bar. In addition to boosting the company’s commercial income, it will also incorporate a new entrance to the 300-seat Howard Assembly Room, which acts as a second, smaller space to the 1,500-seat main house. The separate entrance and front of house will mean performances can take place independently and simultaneously to those in the main auditorium, meaning more concerts and events will be held there. Leeds City Council’s executive had previously backed the plans, but it has given full planning permission and listed building consent to start work, which will also include creating an education centre that will become home to the company’s outreach work. The centre will comprise studio spaces and teaching facilities for its youth ensembles, early years and family groups, as well as schools workshops and adult singing courses. New music practice rooms and a music rehearsal studio for Opera North’s orchestra and chorus will also feature in the development. Mantle said a significant amount of the required funding had already been secured, through a mixture of private and public sources, but a fundraising campaign would be launched in the autumn. The cost of the project had previously been reported as £11.76 million, however the capital build and fit out are now estimated to cost £15 million. On top of this, the company is hoping to raise an additional £3 million to “deliver and maintain increased activity” including more artistic works and education activities. This will be the focus of the forthcoming fundraising campaign.